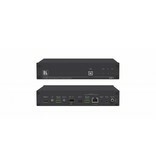 691 is a high−performance HDBaseT 2.0 fiber transmitter for ultra−reach extension of 4K60Hz (4:2:0) HDMI, USB, Ethernet, RS−232, IR and stereo audio signals over either multi−mode or single−mode fiber optic. 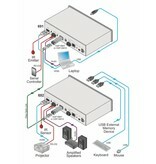 691 converts all input signals into the transmitted HDBaseT 2.0 signal over fiber optics. 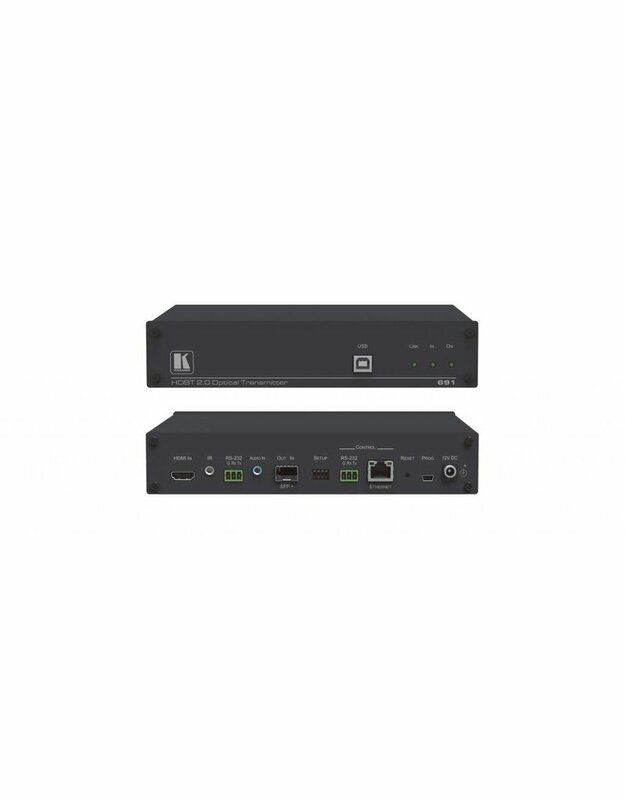 The extended line receiver, such as Kramer 692, converts the HDBaseT 2.0 signal back to 4K60Hz (4:2:0) HDMI, USB 2.0, Ethernet, RS−232, IR and stereo audio output signals. 691 extends video signals to up to 33km (20.5 miles) over single−mode fiber at up to 4K@60Hz (4:2:0) resolution. High Performance Standard Fiber Extender — HDBaseT 2.0 fiber transmitter for providing ultra–reach signals over either multi–mode or single–mode optical fiber infrastructures, using Kramer pluggable OSP SFP+ units. 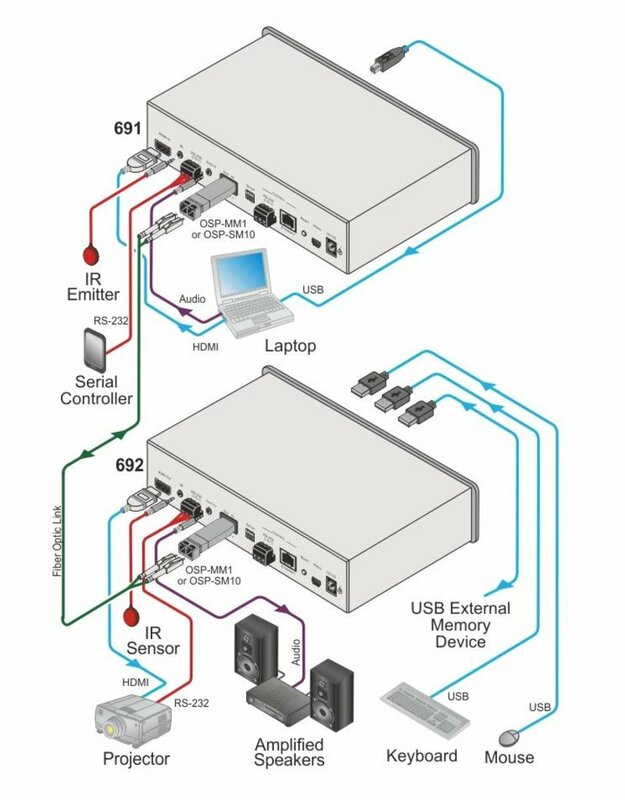 691 is a standard fiber extender that can be connected to any market–available HDBaseT–compliant extension product. Note: To ensure Kramer support and warranty of the 691 product, use only Kramer's certified hi–performance OSP SFP+ pluggable optical units. For optimum extension reach and performance, use Kramer's OSP SFP+ units and recommended Kramer cables. Non–Kramer cables may not reach these ranges. 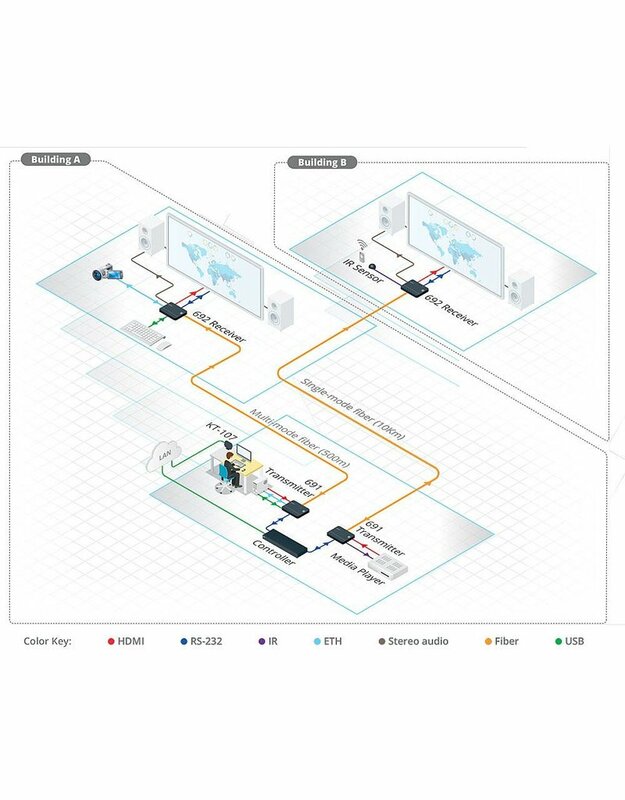 Audio Embedding (Adding) — A selectable analog unbalanced stereo audio input is converted into a digital signal and embedded (added) to the transmitted HDMI signal, replacing the embedded HDMI audio input signal. This enables embedding a selectable audio source over HDMI. For example, a presenter can display a video clip and temporarily override the audio of the source media with another audio source, such as from a microphone.